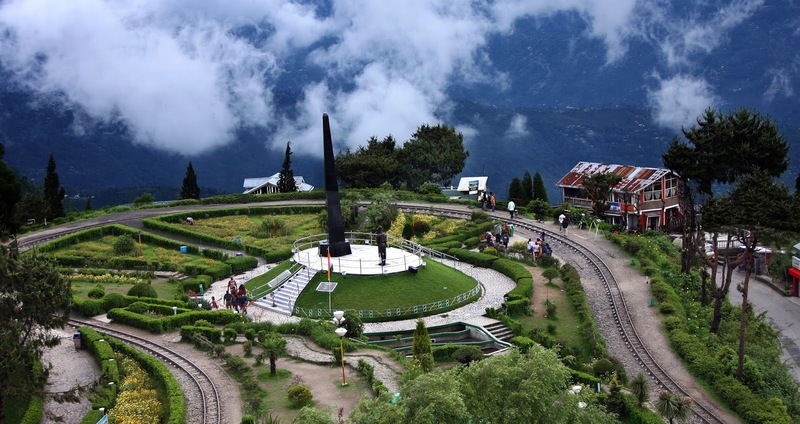 Darjeeling has some very fascinating places of interest. The Botanical Gardens that contain a representative collection of Himalayan plants, flower and orchids. The hot houses are very interesting. The Tibetan Refugee Self Help Centre established in 1959 to help rehabilitate Tibetan refugees who fled from Tibet produces superb carpets, woollens, wood carvings and leather work. You could walk through the workshops and observe the work in progress. The weaving and dyeing shops and the woodcarving shop are particularly interesting and the workers, very friendly – the women have very beautiful and expressive features. The Himalayan Mountaineering Institute set up to train mountaineers, also has a museum containing an interesting collection of historic mountaineering equipment, specimens of Himalayan flora and fauna and relief model of the Himalayas. An early morning drive to Tiger Hill for a breathtaking dawn view over Kanchanjunga and other eastern Himalayan peaks is a fantastic experience. On your way back you may visit the Ghoom monastery, which is the oldest and the most famous monastery in Darjeeling. It enshrines an image of the Maitreya Buddha (the coming Buddha). Another must in Darjeeling is a visit to the Happy Valley Tea garden. Here tea is still produced by the ‘ orthodox’ method as opposed to the ‘curling, tearing and crushing’ (CTC) method adopted in the plains. The process is a fascinating one to observe with possibilities of lots of good pictures. Darjeeling offers plenty of options for walking. Of special mention is the circular walk around the Observatory Hill for breathtaking scenes of natural beauty of the Himalayas and the city below. The shopping options of Darjeeling are revealed once you visit some of the curio shops along Nehru Road. All things Himalayan are sold here-‘thankas’ (paintings), brass statues, religious objects, jewellery, woodcarvings, woven fabrics, carpets etc. However, bargaining is the order of the day, so be prepare to jostle with the shopkeepers.